En CAFÉ is this year’s new project for ART COMPANY. 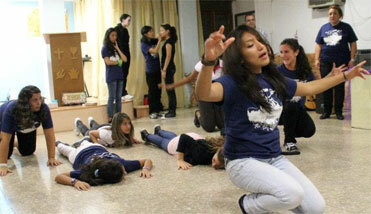 Dani met these group of talented youths who are tired of being a part of religious activities in their churches. He identified with their needs and began challenging them to walk in submission to JESUS and to be part of the solution. Blaming all imperfections in a church is not the right way to help edify His kingdom but what is God teaching us and asking us to do in this situation? The CAFÉ (In confraternity Reach out the lost Souls by Faith) – En Confraternidad Alcanzando Almas por FE became the solution. Glory be to God! to a united effort of evangelizing Spain. We are now lining-up and confirming the dates and venues for outreaches - claiming harvest of souls for 2012!!! Ministry Report 2011: A total of 36 souls got saved & discipled at the Center. 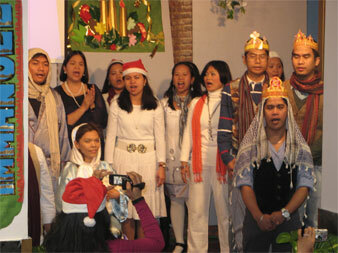 15 churches worked in coordination with ART Company evangelism outreaches. 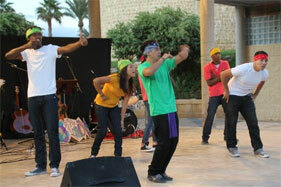 7 youth groups were trained through music & drama workshops. 25 students participated in our 3 month Spanish class (Oct-Dec). 12 leaders were discipled through our 3 month Leadership Development Course. 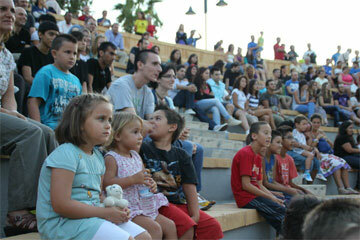 Menorca & Mallorca group have grown in faith & numbers. And we were so blessed to welcome two babies in the group born in December! The Holy Spirit’s anointing & powerful intervension made all these possible. Yes, 2011 was a year of VICTORY! With your partnership with us in your prayers & support we have seen God’s miracle over & over again! Your love, encouragement & support inspire us to move on for more! In His wisdom we desire to maximize the most of opportunities that He prepared for us to accomplish this year 2012! Together we could do greater things far beyond our own way because we will do it “God’s way”! Yes, He promised that He will assume all the responsibility. Our part is just to trust & obey His will! 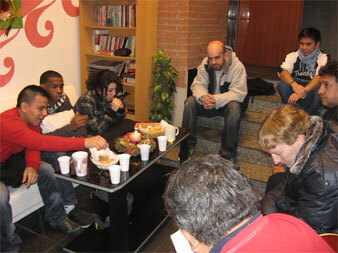 Please pray for: 30 young people from the USA are preparing to come to join our 2012 summer campaigns. 3 short termers to join ARTCo.